As we reach the end of the year, it's time to reflect and to look ahead. This has been a year of development and disaster for Post and Go output. Although Royal Mail reduced their attendance at local stamp exhibitions in the UK, the extension of their activities in Germany, France, Singapore and finally Hong Kong made life more difficult for collectors with only the Singapore and Hong Kong variants also being made available from Tallents House and the introduction of two different 'short' strips from the European events. Permanent machines were also installed in more Delivery Offices and Museums, with the latter producing a welter of changes in the autumn as the change of inscription and addition of a logo coincided with the short-term introduction of the Remembrance Poppy and commemorative inscriptions. We finally saw the demise of the Wincor-Nixdorf machines in Post Office branches, which at least reduced the number of printing variants, though not the number of errors. The Tudor Street machine dispensed 5 stamps but charged for 6, and significant misalignment of the value was reported from several offices. At the Scottish Congress in Perth some stamps were printed with no year in the additional caption, while for a short time receipts recorded this as the 85th Congress when it was actually the 86th. 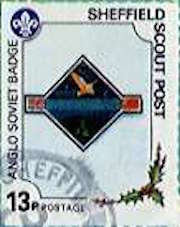 As last year the Christmas 2nd class stamps were loaded into the area producing 1st class stamps. 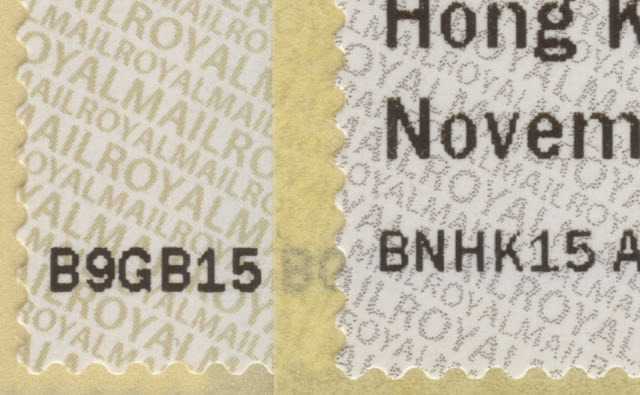 Finally despite the in-house production, Royal Mail managed to produce the Hong Kong exhibition stamps with values appropriate to Gibraltar Post! The Post and Go system continued to be extended in Jersey and Guernsey, and Gibraltar which has produced so many variants as to be utterly baffling - and few of them available from their philatelic arm, except original first day covers some weeks after the actual first day! Post and Go machines from Royal Mail were also installed by Qatar Post Office: these and others, including our own Hong Kong solo-design reel were digitally printed rather than gravure. The traditional postage stamp situation has been quite by comparison although Royal Mail did their best to maintain interest by keeping us guessing over the subjects of two major stamp issues. Sadly all their precautions came to naught with the Long To Reign Over Us miniature sheet (with stamps printed for the first time by FNMT Spain) as the associated counter sheet was sold in many post office branches well before the official date of issue. They know how to place embargoes on the press and dealers, but not their own retail partner. 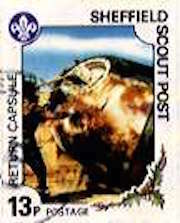 The bumper Star Wars issue was treated with scorn by many traditional collectors, and most thought that even if it attracted non-collectors they would probably not be tempted to buy any other stamp issues. Others decided that this was another final straw providing them with a good reason to stop buying any new stamps on their standing orders. 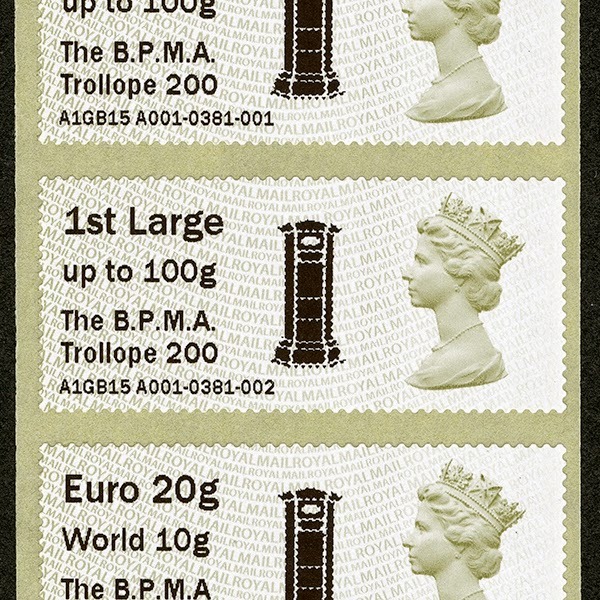 Although these were widely available in PO branches and well-advertised, the lack of availability of special stamps across the PO network – especially from branches converted to or moved to the 'Local' model – meant that other collectors decided to give up on new issues simply because they could not be bought! We were lucky to have contributions to the blog (in the form of comments) from insiders who explained how unprofitable special stamp sales were to sub-postmasters. The expected versions of Machin Security Definitives all appeared, many of the by mid-summer, although unexpectedly many of the varieties which appeared early in the year were not available for long periods after that and only reappeared very recently. In all there were 47 new definitives, although the earliest had M14L codes. In November a new 2nd class coil was found on a charity mailing leading people to look more closely again at their junk mail. Very few of these have been found so far. 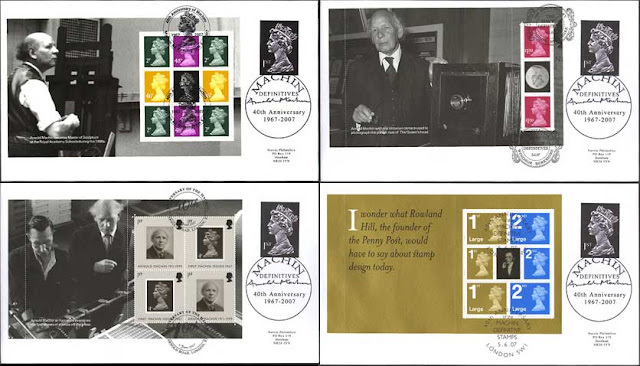 Royal Mail made life difficult and expensive for Machin collectors at the start of the year with the Inventive Britain prestige book containing only one set of definitive stamps, and one new stamp printed in the wrong colour, and over £1-worth of postage left over. Fortunately the Great War and Waterloo PSBs had better contents, and when we got to the end of the year the Star Wars book had NVIs for the first time in years, and a new gummed Union Flag stamp! 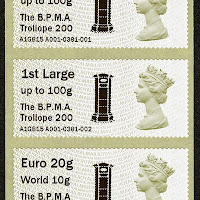 The tariff changes in March saw the introduction of Large Letters for international mail and a batch of six new stamps totalling £14. Sadly this is likely to continue, despite PO branches using Horizon Labels as much as they can, so we can expect the March 2016 changes to produce a set costing nearer £15. Fortunately there are still only four country definitives for each country, even if some of those are difficult to find locally – English ones seem particularly difficult. Printing developments have and may continue to give us cause to look more closely at our stamps. Walsall Security Printers (ISP) have new premises with a new, larger, press which meant that new booklet cylinders were required. The M14L version of the 1st x 12 book appeared from both presses. Two Smilers Sheets and the Penny Black retail booklet sold out very quickly and were not reprinted. It is difficult to know whether this is dealer speculation or just demand being poorly judged when the print quantity was set. And of course the Penny Black miniature sheet had a limited edition variant sold only at the Europhilex exhibition in London. The distribution arrangements were ill-though-out and badly implemented, despite advice from the trade. Sadly this may not be the last time something designed to 'attract collectors to the event' results in bad-will among long standing customers, and unexpected profits being made by those who are able to attend. Postmark collectors were treated to nearly 50 new slogans this year, some more relevant than others, although finding them on your own mail when so few stamps are used was a challenge! 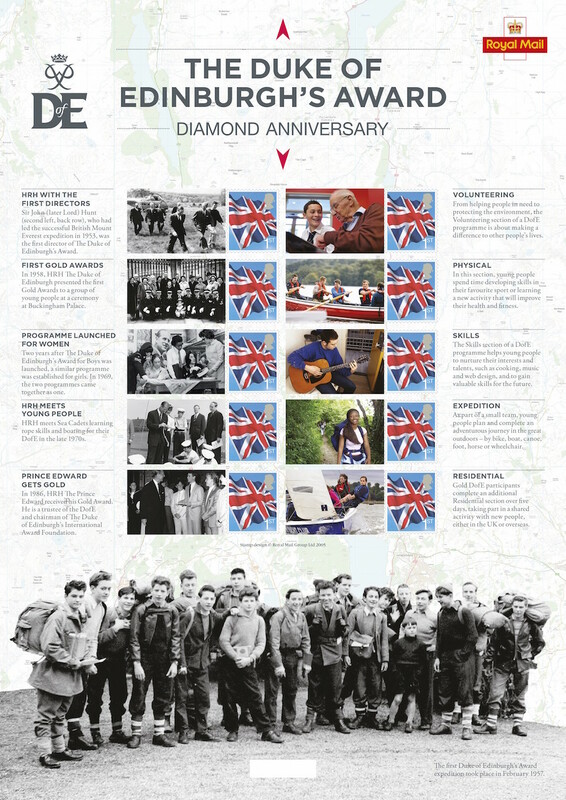 And Royal Mail have at last made their Postmark Bulletin available free online, to the benefit of collectors worldwide. to all readers, contributors, and customers, we wish you a very Happy Christmas and a successful (if impecunious!) New Year. 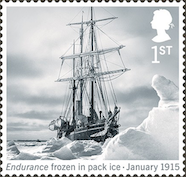 As usual Royal Mail start the stamp programme early in 2016 with a set of stamps marking the exploration of the South Pole by Ernest Shackleton in the Endurance. This set of 8 monochrome stamps will be issued on 7 January, details on our website. The issue of the premium-priced Commemorative Sheet to mark the Diamond Anniversary of the Duke of Edinburgh's Award Scheme has been brought forward from the end of the month to 12 January. 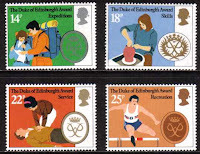 Two special postmarks have been announced (so far) for the DOE Scheme, which was last marked by a set of 4 stamps issued on 12 August 1981. 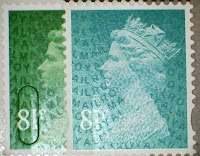 Postmarks 13700 and 13701 can be obtained from the London Special Handstamp Centre and their use is not restricted to being used on (stamps from) the sheet. 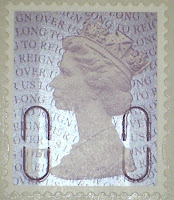 No first day of issue postmarks will be available as the Union Flag stamp was issued earlier. 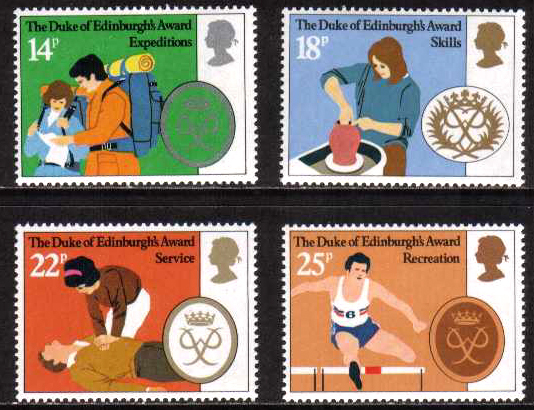 The subjects depicted on the labels and described alongside are: HRH with the First Directors, First Gold Awards, Programme Launched for Women, HRH Meets Young People, Prince Edward Gets Gold, Volunteering, Physical, Skills, Expedition, and Residential. The sheet costs £14.95 and the Royal Mail product code is AV041. There was a time when we produced and sold first day covers for every new issue, back before the number of issues was just too much and FDC production and processing was taking all of my time. It was fun, research designs, photographing, and photoshopping to get a unique product. I have to say that some were better than others! Nowadays there are too many stamp issues and too many copyright issues to worry the cover producer, which is why many UK producers are using cover designs that are not specific to the stamp subject (eg Star Wars). It's a way of avoiding sometimes huge royalty payments to (eg Disney) which would increase the retail price far above what regular collectors would be willing to pay. 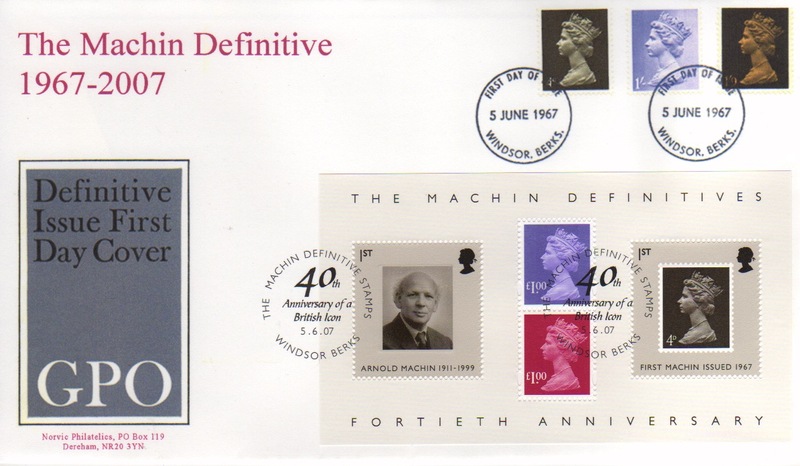 When the 40th anniversary of the Machin definitive was marked - with a miniature sheet, a prestige book, and a generic Smilers sheet - I felt that appropriate covers could only be produced with the permission of Royal Mail, and I was very pleased when they allowed the use of the Machin image, stamps, and postmarks. So we were able to produce three different covers. I've just found some of these unsold, and have added them to our shop. 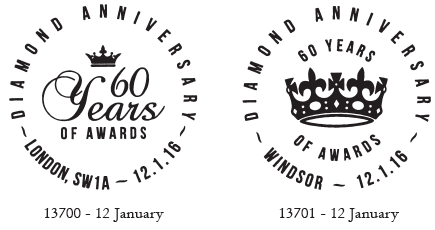 For the miniature sheet, I copied the original 1967 FDC with Windsor first day postmark. Because FDCs were smaller in those days it wasn't possible to create a 'double-dated' cover, by adding the MS to one that was 40 years old, but the design was expanded onto a modern FDC-sized envelope. 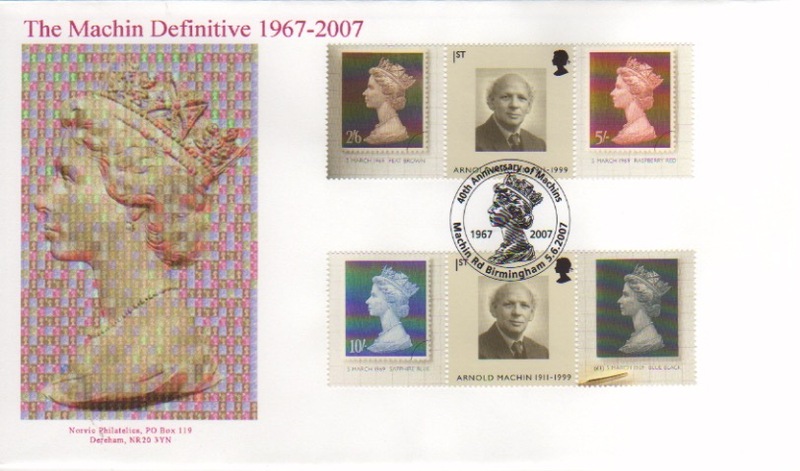 For the generic Smilers sheet we used covers with the Machin portrait made up of a mosaic of Machin stamps. 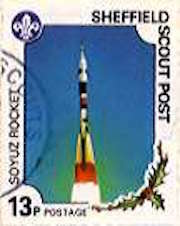 Four covers are used for the set, two are pictured below, with 10 stamps and 20 labels. Prestige Book panes don't leave much room for a cover design, but a special postmark had been used in 2001 with the Arnold Machin signature. (The postmark was not associated with a stamp issue: the original inscription was 'Royal Academy Schools' so I think it must have been for an exhibition.) I had obtained copies of this on the 'Profile in Print' Letterpress stamp, so adapted it as the design for more covers. 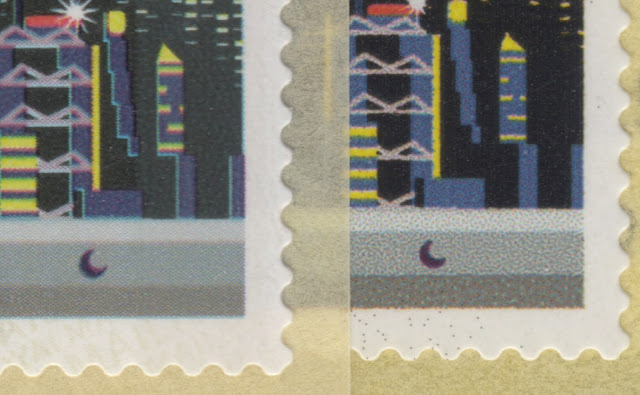 The actual panes are cancelled with four different postmarks. A limited number of these, along with some of the stamps and panes on Royal Mail fdcs are available in our shop, so if you are new to Machins and want a different addition to your collection, take a look. We'll be adding more older covers soon. With immediate effect Royal Mail have made their Postmark Bulletin available as a free pdf download. We will continue to include some special handstamps here on our blog, and on our website on individual stamp issue pages, but if our pages are not updated then collectors and dealers should refer to the online resource. 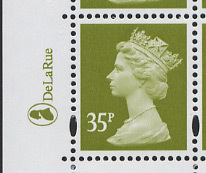 Note that postmarks for any individual stamp issue may appear in several successive Bulletins and may even be published after the issue date of the stamps. 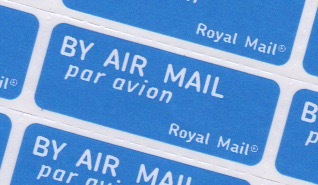 Operational slogan postmarks are not normally mentioned in the Bulletin. Royal Mail have announced that with immediate effect the Postmark Bulletin is free of charge. Existing subscribers will not be charged for renewal when their subscription expires. Last slogan postmark for 2015! I was surprised that Royal Mail didn't choose to mark the out-of-world experience of Tim Peake in reaching the International Space Station with a slogan postmark. More worthy than the non-British winners of a book prize, I would have thought, but they obviously had more pressing things in mind. Having exhorted everybody to 'Post Early' last month (and weren't there a lot of people making their annual visit to the Post Offices to post their 'maybe large' cards?) they are now reminding us of the last posting dates for 1st and 2nd class mail, as in this example from Norwich Mail Centre dated 14 December. Actually, thinking back to previous years, this is probably not the last slogan as we will probably have one from Monday 21st suggesting the use of Special Delivery for those last-minute must-get-there-by-Thursday gifts. Taken from the Report of an Investigation by the United States Postal Service Office of Inspector-General. Note: The report by the USPSOIG necessarily focuses on the US perspective but clearly the issues highlighted affect mail between all postal administrations and it is therefore relevant at least in part to the UK and other developed countries. Note that reference to 'shipping companies' is not exclusively maritime, it also refers to courier companies. We do not know Royal Mail's views on terminal dues. Terminal dues is the system that postal authorities (posts) use to pay one another for international deliveries of letters and small packages. The global terminal dues system, updated every four years by the Universal Postal Union (UPU), does not fully reflect actual domestic processing and delivery costs. As a result the U.S. Postal Service and other operators have lost money on international postal letters and small packages received from abroad, especially from emerging countries like China. The explosive growth in cross-border ecommerce traffic has greatly elevated concerns about the economic distortions created by the system. Posts pay terminal dues to compensate one another for international deliveries. When someone mails a letter or small package to another country, the postal administration in the sender’s country receives the postage and pays terminal dues to the destination post for its share of processing and delivery. Terminal dues rates are painstakingly negotiated at the Universal Postal Union (UPU) among its 192 member countries every 4 years — and implemented about 18 months after that — using the principle of one country, one vote. Because of the complexity and length of the UPU decision-making process, significant changes to the terminal dues system may take many years to unfold. Until 1969, terminal dues did not exist; the receiving post bore the entire cost of sorting, processing, and delivering the foreign customer’s item. The terminal dues system’s goals were to provide posts with some compensation for their delivery of inbound international mail and to support a single worldwide postal network. As a result, it funded improvements to the postal infrastructure in developing countries. Terminal dues, therefore, by design, were based upon setting rates by majority agreement rather than reflecting true economic costs. The explosive growth in ecommerce traffic, especially from China, has greatly elevated concerns about the system’s unfairness. As international ecommerce packages experience rapid growth, destination posts with higher postal rates are protesting that terminal dues do not cover their costs. U.S. online retailers have argued that competitors in China can send packages to the United States through China Post at lower rates than American businesses are required to pay in their own country. In segments other than lightweight packets, such as heavier, higher-value packages requiring additional services, the rate advantage of low terminal dues posts like China Post decreases. Additionally, private sector shipping companies maintain that terminal dues are only available to postal operators, providing an unfair competitive advantage. As of 2015, the lower terminal dues transition country category, established to help developing economies, still includes 140 countries, including the so-called BRICS (Brazil, Russia, India, China, and South Africa). In this way, the Postal Service will have subsidized posts for many years that, in some cases, have not necessarily needed such support. Forty of these countries, including all of the BRICS except for India, will join the target tier next year. However, moving these countries to the target category may not immediately lead to significant terminal dues payment increases. The UPU Congress will approve new rates, for the period from 2018 to 2021, next year — meaning implementation is 2 to 6 years after a decision. The new target countries may continue to have an advantage during this period. In the long term, the terminal dues system should reflect the true cost of inbound delivery. In the interim, the United States should continue to work with the UPU to support the separation of competitive small packages containing merchandise from documents and letters. While letters would continue to fall under terminal dues, small packages would be subject to self-declared rates that reflect cost and are available to all — posts, competitors, and shippers alike. The bigger issue is the increasing irrelevancy of the international terminal dues channel in an age of ecommerce because it fails to meet customer demands for speed and reliability. Efforts to ensure this channel’s responsiveness should not only include fixes to terminal dues remuneration but also, in parallel, measures to improve the service quality of cross-border packages. The Postal Service should champion reform to an increasingly anachronistic terminal dues system. Otherwise, it risks becoming an international ecommerce provider of last resort for a residual product that does not reflect associated costs or provide the speed and quality consumers demand. 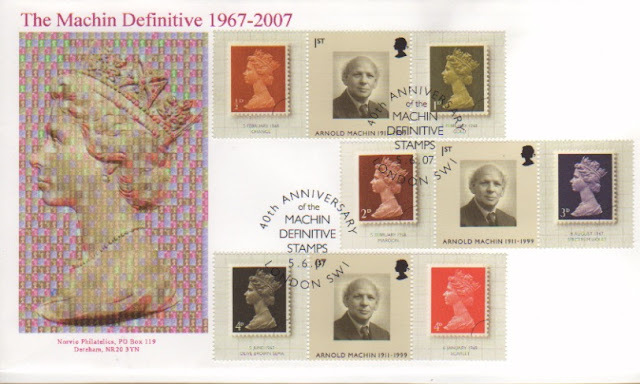 Not only Great Britain stamps: some of my other philatelic interests. If you only read my blogs, you won't know that I have other philatelic interests apart from modern Great Britain - security Machin definitives and Post and Go. The journey of Tim Peake from Baikonur to the International Space Station (ISS) gives me the opportunity to introduce you to two other areas of collecting. Tim Peake isn't the first British Astronaut, although he is the first to go to the ISS as part of the European Space Agency's venture with the Russian space programme. The first was Helen Sharman who went to the Russian Mir space station in 1991. 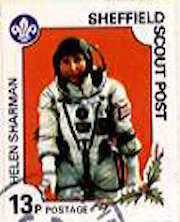 The Sheffield Scouts Charity Christmas Post chose Helen as the subject of their Christmas stamps that year. 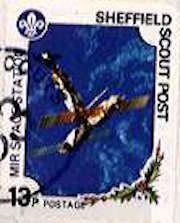 You can read more about the Sheffield Scout Posts from 1991 here. In the mid-1990s I took an interest in the modern postal history of the countries which 'appeared' from the collapse of the USSR. This turbulent period included provisional stamps, high inflation, and a large number of totally bogus 'stamps' and covers, from 15 countries some of them totally new to the philatelic atlas. This was totally by chance as I happened upon some interesting covers at one of the London Stampex events. I started studying some areas in detail, and even learned a little Russian to help! Sadly I still have a huge amount of material to study and write up, but the first fruits of my labours are here. This was in the days of dial-up modems and pay-per-minute internet access, so the images are necessarily small. When I get back to it, there will be much more detail and much bigger images. I don't have any stamps showing the ISS to which Tim Peake will blast off in just over an hour, but one of the earliest of Kazakhstan's stamps shows the Mir Space Station. Some late 2015 printings have already made an appearance, meaning less probability of M16L versions of these values appearing early in the new year. These dates won't be added to our webshop but if any customers want date blocks, please contact us by email using the link at the top right of this page, and we will try to oblige. I am now able to show the full list of 2015 issues - 47 new stamps, which are all MA15 or M15L apart from some early M14L-coded stamps. The Norvic catalogue numbers link to our web shop, where we have stocks of most of these (or will be getting more soon). The descriptions link either to the blog or website, depending on whether they were part of regular stamp issues or simply 2105 reprints. The final Machin Security Stamps have been added to our Checklist/Catalogue, If you don't already have a copy of this, you can find the latest version on Dropbox. Machins Cross-ref, being the reverse cross-reference of SG Concise numbers to our own. The first prestige stamp book in 2016 will not be issued until February, but we understand that that will not contain Machin definitives, so when will the earliest M16L stamps appear? I hope that the early part of next year will also see an increase in supplies of some of the M15L stamps, as many PO branches are still using stocks from earlier years, back to 2012 in some cases! 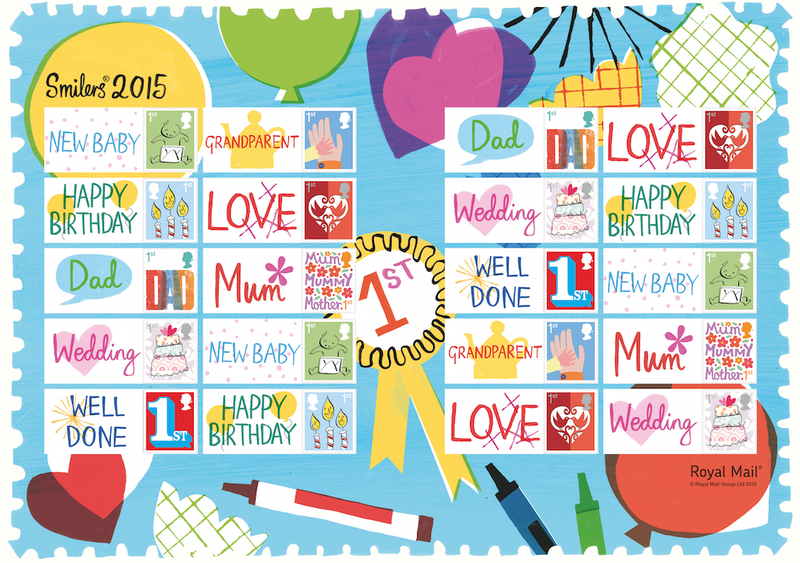 But do look out for new printings of counter sheet stamps: especially the higher values. The £2 must be due for another reprint soon! The problem with headlines in the provincial press is that they focus so very much on the local area, hence the headline above from the Northern Echo. So my first thought was that we had new Machin definitive stamps coming next year, printed by Cartor or Walsall, under the ISP umbrella, maybe Enschede, or a newcomer, like the Bundesdruckerei in Germany, FNMT in Spain (who printed the Long to Reign Over Us miniature sheet, we're told), or any one of the other state printing works in Europe. By leveraging its strong market position as the largest commercial supplier of passports, the Group is seeking to accelerate its growth in the Identity and Security Products markets by improving capabilities and investing in new technologies. A significant portion of the overall £30m of capital investment will be invested in equipment and skills to create a centre for excellence for Identity and Security Print at De La Rue’s current site in Malta. This will enhance further the Group’s Identity and Security Print capability and give the Group a competitive edge to capture the high growth opportunities in these markets. The current Security Print capability in Gateshead, U.K. will be relocated to Malta. In other words, there will be no more bank-note printing in Malta: that will switch to Gateshead and the identity, security and postage stamp operation will switch to Malta. So what are the implications for Royal Mail, and hence for us as collectors and dealers? 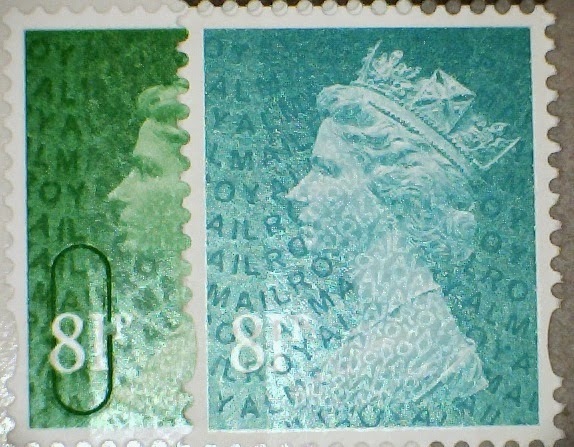 When DLR moved stamp production from the south of England to Gateshead in 2013, they were unable to produce the new tariff stamps (78p, 88p, £1.88) to meet Royal Mail's timescale, and interim printings were produced by Walsall - and they had different security codes. So we shall have to be vigilant this spring when rates will increase again: which company will print the stamps - and where? See the comments: the current stamp-printing contracts (and those for other philatelic material) may be up for renewal in the latter part of 2016. 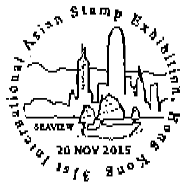 Special Handstamp for Hong Kong Exhibition Sea Travel Post and Go Stamps. and Go machines and there were no special handstamps or cachets in use at the Exhibition for these stamps. 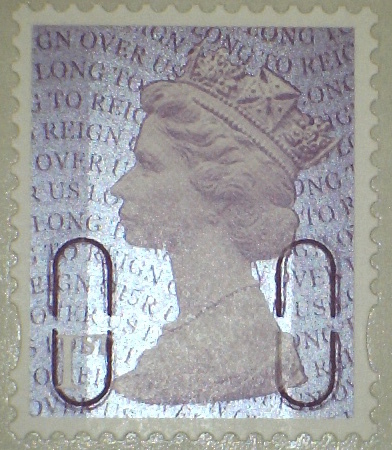 Royal Mail's reference number is 13685 and this can be obtained from the London Special Handstamp Centre at Mount Pleasant. As usual for late announcements the SHC allows a period for submission of covers and cards. I wonder what would happen if covers stamped with the Gibraltar-valued stamps was sent for postmarking? I've now had time to examine the new stamps (mine from Tallents House had correct - UK - values not the Gibraltar ones), and they are of course significantly different due to the new printing process. 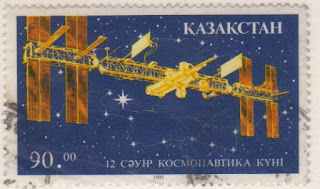 The first thing to note is that the surface is highly reflective, compared with the gravure-printed stamps, and the phosphor bands do not show. In fact it looks very much as if there are no phosphor bands, but I have only looked in dim light, not in darkness. These are two high-resolution scans showing the gravure stamps on the left, and the digital printing on the right.